Going to Oakmont Regional High School had some advantaged over other high schools. At Oakmont I got to choose what classes I wanted to take vs. either taking a business or college course structure like other high schools. This meant that I got to take classes from both groupings. Oh yea, things like Advanced Science in the college line and yes Typing from Business. Who would have thought that one of the most useful class for life long learning was Typing. As a communicator typing has helped me in so many ways and will help me in the future as a writer on my trip. 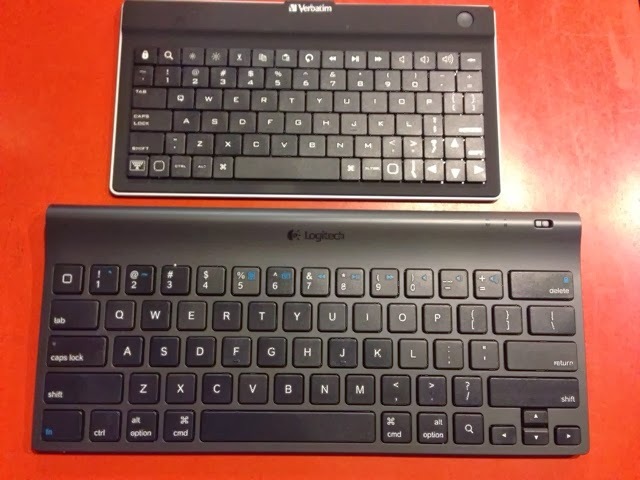 I had purchased a small Bluetooth keyboard a few months ago for traveling, but this week I ran into a problem with it. As a full finger typist I was not able to type without hitting unwanted keys. I was typing the minutes for the Mid-State General Meeting and it took me at least twice as long as normal. 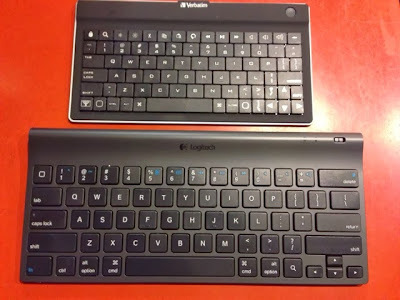 A trip to Staples last night bought me a full-size keyboard. Today I was happy with the new size allowing plenty of finger room. There was one minor drawback and that was the space bar. It wasn't as reactive as I would like. This from a guy that hits the space bar when I type so hard that I had worn a mark in the space bar on my desktop computer keyboard at my office at the Fire Station.